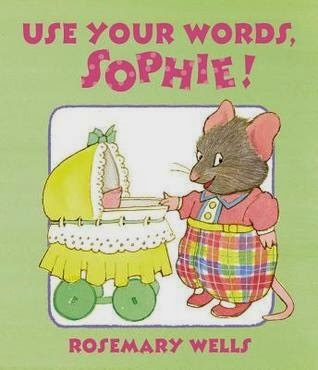 Use Your Words, Sophie is a fun book about a two year old mouse whose family welcomes a new sister. The baby, whose name is yet to be determined, is not a welcome arrival for little Sophie. Sophie decides to start speaking in other languages when the baby comes, for example: Jellyfish language, Hyena, etc. That brought some humor into the story, which made it fun. Sophie's parents can't calm the new baby so Granny comes to visit. Sophie finally uses her words (after being prompted to do so on nearly every page) and asks to hold the baby. Sophie determines the baby's name and that the reason why the baby was crying so much was that everyone was calling her by the wrong name. I liked that there were two main plot points to the story: determining the new baby's name, and Sophie's reaction to the addition of the baby to her family. The way Wells reconciles Sophie to the new baby was perfect for this age group. I also really liked the layout of this book. The pages are all laid out exactly the same: with the illustrations taking up the majority of each page and the text at the bottom. I love not having to search along the page to find the text----it just makes reading aloud to Kaitlyn easier for me if my eyes stay at the same place in the book on every page (what can I say, I'm lazy like that!). Kaitlyn liked this book because it was about animals, and the illustrations reminded her of the Peter Rabbit series, which I think is a big compliment to Wells. She also liked the colors----Use Your Words, Sophie is definitely a book for little girls. In fact, the colors are perfect for spring and it would make a great addition to an Easter gift. 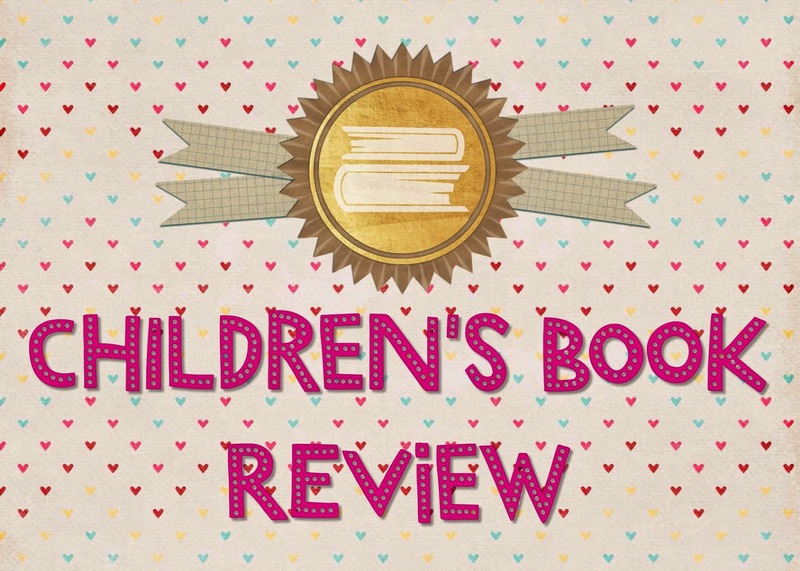 We enjoyed this book and would definitely read Rosemary Wells again.